The use of conceptual graphs for the representation of text contents in information retrieval is discussed. A method for measuring the similarity between two texts represented as conceptual graphs is presented. The method is based on well-known strategics of text comparison, such as Dice coefficient, with new elements introduced due to the bipartite nature of the conceptual graphs. Examples of the representation and comparison of the phrases are given. 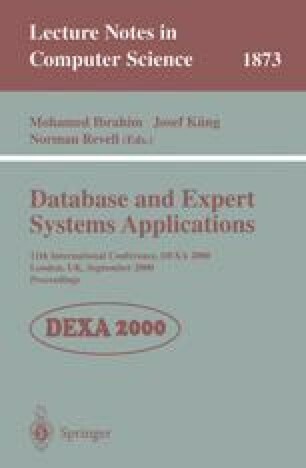 The structure of an information retrieval system using two-level document representation, traditional keywords and conceptual graphs, is presented. The work was done under partial support of CONACyT, REDII, and SNI, Mexico.